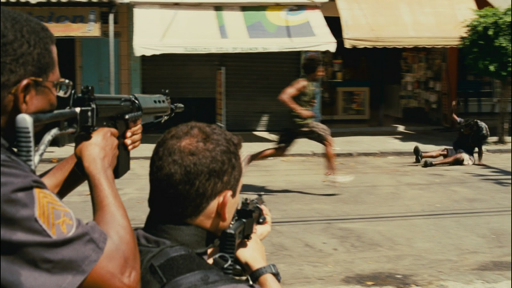 The moment I found out Jose Padhila was taking the reins for the new Robocop, I sought out his film Elite Squad. 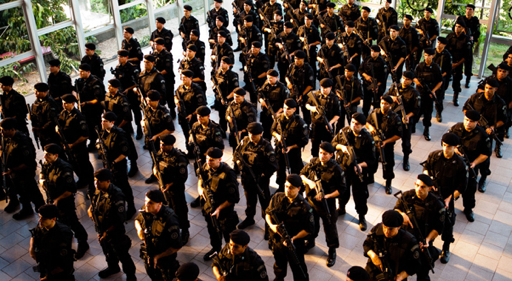 It was a balls to the wall story of a special ops police force in Brazil, about one mans quest to find a replacement and two young friends coming up through the ranks. The film was a great action flick grounded with a good story an characters you cared about. 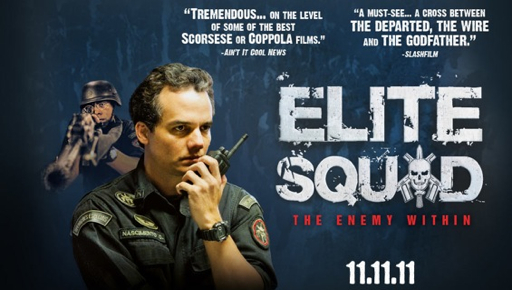 I was excited to see his follow up Elite Squad 2 get so much acclaim even being Brazil's entry into the Oscar race. I mentioned in my DVD article that this was one of the releases I was really looking forward to and it did not disappoint. The film is a successful sequel in every sense of the word. Hollywood should take note(but they won't) he makes it bigger and better all while giving us a brand new story. He successfully adds numerous characters without overcome locating the story. This isn't as raw as the first but like Nascimento says, he is fighting in a different way. I don't want to get too much into plot, because even though the plot summary discusses the story of police corruption, the way Padhila crafts his tale and evolves his characters is handled with a lot more grace than your typical action flick. The story begins with Nascimento still in charge of BOPE with Mathias as his star protege, the two are involved in a mission that results in a massacre of prisoners. A human rights activists uses the opportunity to get both of them fired from BOPE, but while Mathias is sent to work with dirty cops, Nascimento is given a promotion to undersecretary of defense. He uses the chance to increases BOPE's power, but as he progresses he soon realizes at the top all that matters is winning elections as self serving. This starts his fight against the system. There is a whole lot going on in the film but Padhila manages to keep you engaged the whole time. He pulls no punches, and while there is less action this time around, he still shoots them with the intensity of the first one. Each bullet hurts and he builds tension throughout. In his films no one is safe, people die that shouldn't, people get injured that aren't supposed to. This is a film with real consequences. I said that everything was bigger in this film, and while the first film took place on the streets of Rio, this film takes the battle as high as it can go to halls of congress. He shows us all levels of crime from the lowliest drug pusher, to the dirty politicians, and Nascimento is trying to take them all down. Not only does Padhila manage to actually craft a successful sequel that improve on everything from the first film, he also manage to use a hand held camera better than most in Hollywood. His film has a kinetic energy to it without feeling like the camera operator is having a seizure(looking at you Gary Ross). When the action breaks out he doesn't use it an excuse to speed up the editing, rather he lets the action play out in front of you, giving you a proper orientation for who's who and whats happening on screen. 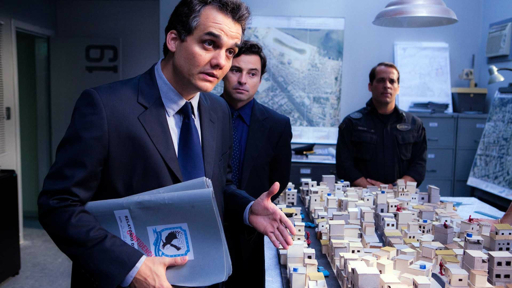 This is a great action movie with a solid story and a great performance by Wagner Moura. Highly recommended and I'm curious to see what this man is going to do with Robocop. The verhoeven film haf a satiric quality that is absolutely not present in either of the Elite Squad films. Which leads to the question of all remakes, why are you even doing it then? One last thought - I'm intrigued by the casting of Joel Kinnaman.